Another car unveiled at the Frankfurt Motor Show. 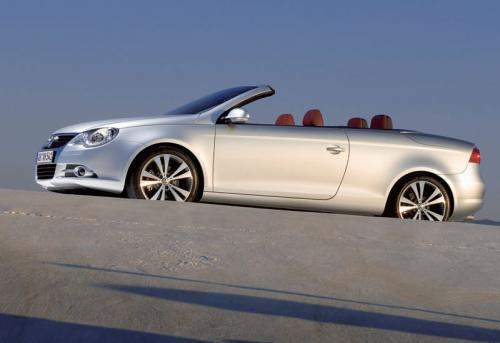 The Volkswagen Eos Cabriolet was named after the Greek goddess of the dawn. It was named because of the ideal situation for driving an open top – early morning on a summer day. 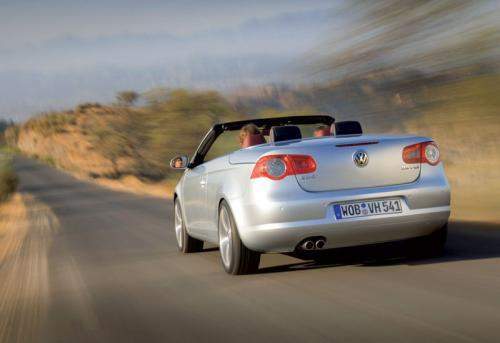 It’s not easy to make a convertible coupe with design cues that flow so well like this one. Look at the Peugeot 206 CC when the top is up and you’ll know what I mean. 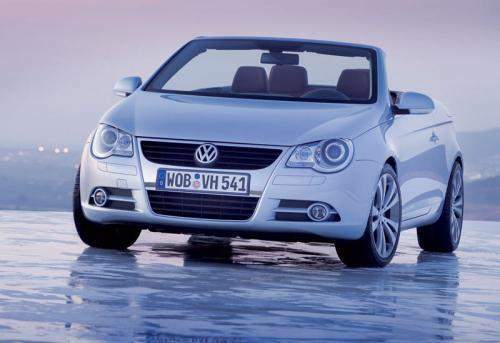 But Volkswagen did not adapt this car from a solid top, it designed the car from the ground as a convertible coupe. The result is stunning. Opening and closing the top takes 25 seconds. There is also a roll-over protection system which shoots out in 0.25 seconds in case the situation arises. The unique 5-part roof can also be partially retracted to function somewhat like a sunroof. … and the Eos with the top up. The Eos is 1.79 metres wide, 4.41 metres long and 1.44 metres high. Volkswagen plans to equip the car with a choice of 4 petrol engines and a turbodiesel engine. The petrol engine outputs are 115 PS, 150 PS, 200 PS and 250 PS while the turbodiesel model is expected to make 140 PS. The most powerful petrol engine will be a V6 while the rest are in-line 4 engines. 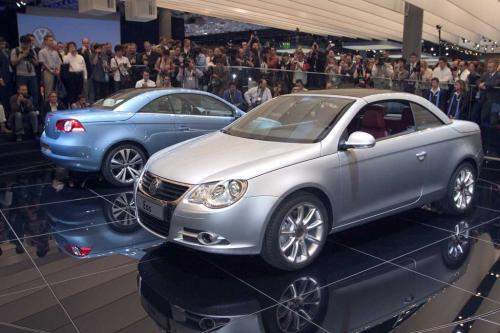 Volkswagen Eos Cabriolet at the Frankfurt Motor Show.